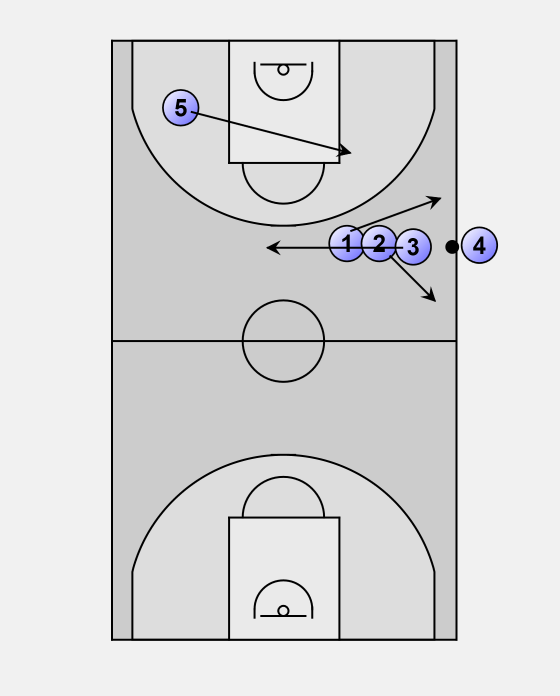 1) Flashes towards the sideline and breaks to backcourt. 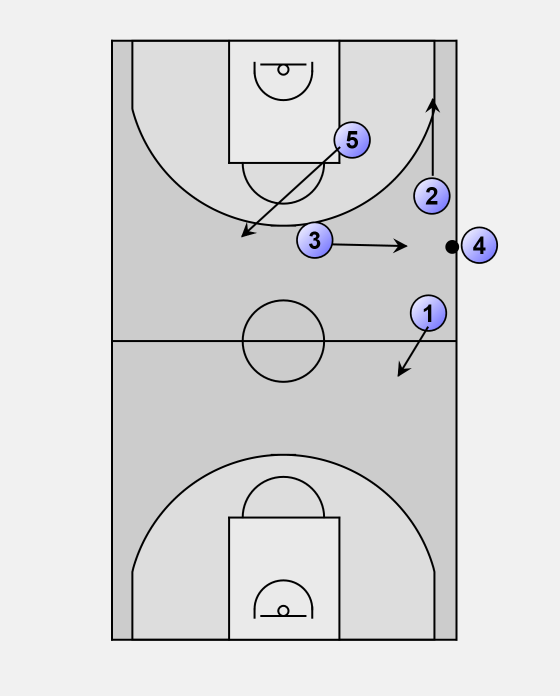 2) Flashes towards the sideline and breaks toward the baseline. 3) Moves Backwards between 1 & 2. 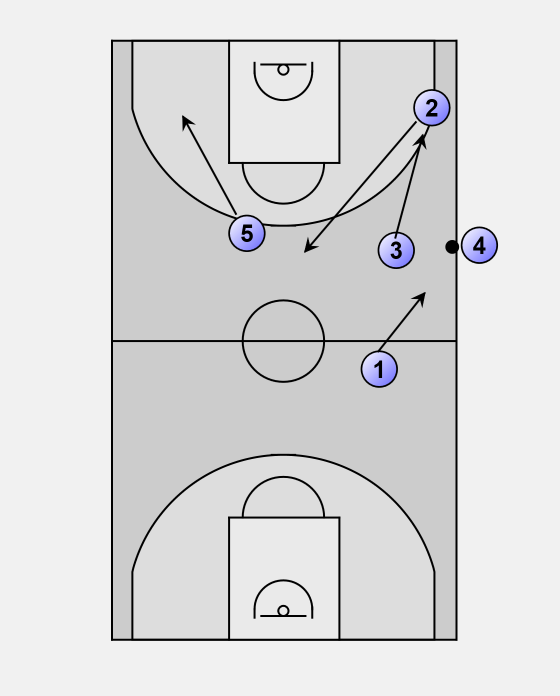 5) Starts at low post and cuts cross court towards 4. 2) Continues towards the baseline. 3) Comes back to 4. 5) Cuts toward the top of the key. 1) Comes back towards 4. 2) Comes back to the top of the key. 3) Cuts towards the low post. 5) Goes opposite side low post.